The Thanksgiving episode of the CBS drama Blue Bloods, involved the grandfather having a heart attack the day before Thanksgiving. Though he lives with his widowed son, the New York Police Chief played by Tom Selek, when the family arrives at the hospital the doctor asks a very simple, yet vital question “What medications is your father taking?”, the son’s stunned reply, “I don’t know.” One would assume that since his father lives with him he would be aware of the medications his father is taking as they would most likely be on a counter or in a medicine cabinet somewhere in his home. However; I would be willing to bet that the majority of family careigvers don’t know what medications their loved one is on or the dose of the medication prescribed. The holidays are filled with increased opportunities for us to spend time with our loved ones so it can be the perfect time to find out what medications your elderly loved ones are on and create systems in which you can easily keep up-to-date on their medications. Encourage your parent to bring all of their prescription bottles, as well as any over the counter medication bottles with to each doctor’s appointment. This assists in updating the doctor, as well as makes the doctor aware of any medications that may have been prescribed by another physician such as a specialist. 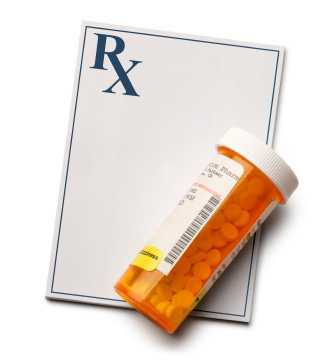 Most pharmacies staple extra labels to the prescription bag, these can easily be placed on a 8×10 piece of paper and scanned or copied so that multiple family members can keep a copy. Caregivers should keep copies of prescription information in a purse or car glove box so that if there was an emergency the information would be easily accessible. Place a copy of the medication list on the refrigerator along with copies of other important health information and a list of emergency contacts. In the event of an emergency, most professionals such as paramedics, fire and police are trained to check the refrigerator for this information. Knowing what medications an elderly loved one is taking is a vital tool to assist with care coordination and management. This entry was posted in aging, boomers, caregiving, chronic conditions, eldercare, health care, making a plan, work/life/flex and tagged aging, boomers, caregiving, caregiving and stress, chronic conditions, eldercare, elderly care, health care, holidays, In Home Caregiving, making a plan, medication management, meditation and self reflection, work/life/flex. Bookmark the permalink.